Years of rivalry can be disastrous. 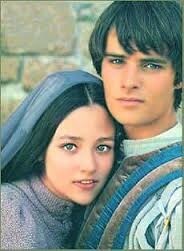 The story of Romeo and Juliet is about two different houses children as they fall in love. Romeo and Juliets' parents have been feuding for years and Romeo and Juliet grew up hating the other house until a Capulet party. Romeo sees Juliet at the party and falls instantly in love. He sweeps her off her feet and they end up getting married. Tragedy soon follows. After a violent street fight two men lay dead and Romeo becomes banished. Juliet is beside herself with grief and is betrothed to Paris! A cunning plan arises to save Juliet from her own self destruction, Juliet is to drink a potion that will make her seem dead then run away with Romeo. An unexpected flaw proves deadly when Romeo hears of Juliet's death and kills himself. In the end 5 bodies lay dead at the feet of the rivalry. Juliet and Romeo died because of an argument that couldn't be settled. Was proving a point worth the death of the people they held close? When a street brawl starts between two servants of the houses Montague and Capulet, the Lord's of the houses want to go at it as well. "Thou Villain Capulet!- Hold me not, let me go." "Thou shalt not stir one foot to seek a foe" Lord Montague is yelling at Lord Montague until Lady Montague tells him to stop and that they aren't going to fight. The Capulet's and Montague's have been rivals for awhile and this quote from the very start shows Lady Montague's resistance to fight with the Capulet's. Maybe if they had just called the whole thing a truce, lives coukdve been saved. Romeo and Juliet loved each other they couldn't bare the thought of the other being dead. Ultimately that much affection brought upon their deaths. Only after their death's could their love story be heard by the families left behind grieving. Despite the fight between their families, Romeo and Juliet fell desperately in love. Now whether you argue it was just and initial physical attraction to one another or true love, they made it work. 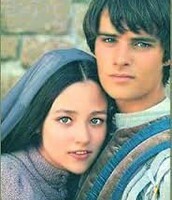 The story of Romeo and Juliet has lasted for hundreds of years and will continue to draw attention to itself. The tragic ends of the lovers that couldn't imagine life without the other. People dispute whether it was indeed love, but either way the story touches people's hearts and women seek a relationship full of that much love towards another being. Due to the feud a deadly street fight broke out. 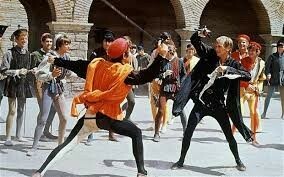 Mercutio was killed by Tybalt and Romeo killed Tybalt in return. Romeo was banished and if he returned would be sentenced to death. His mother died from the grief of losing her son. "Alas, my liege, my wife is dead tonight! Grief of my son's exile hath stopped her breath." Three people have already lost their lives due to the rivalry. 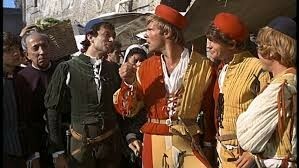 Mercutio, Tybalt, and Lady Montague. Lord Montague is about to find out about the forth, fifth, and sixth, Romeo, Juliet and Paris. 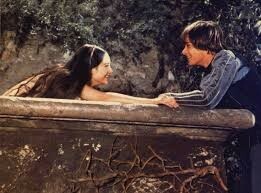 Both the children of Capulet and Montague, Romeo and Juliet, lay dead in the tomb. Their tragic love story being heard by their families for the first time. "o brother Montague, give me thy hand. This is my daughter's jointure, for no more can I demand." The feud between the two houses only ends after Juliet and Romeos' deaths. It took children committing suicide for them to realize that maybe it wasn't worth it. Capulet offers Montague a handshake and it kind of is a sign of peace.